Five locations were chosen according to relevant historical documentation marking them as central to the Jewish community from the 11th to the 15th centuries. The opening was among the activities of the II International Sephardic Congress that took place on July 1-4 in Vimioso and Carçao, Portugal, and Fermoselle and Zamora, Spain. Here a photographic reportage of the particular spots. Zapatería and Puerta Nueva were the main streets of the old Jewish quarters that extended from La Cruz del Valle–the name given to the intersection of the streets Cuesta del Caño, Puerta Nueva and Corredera–to Plaza Santa Lucía.The first references to Jews living in the area come from the twelfth century, and the Jewish community has the category of aljama (an organized and self-governed community) at least since 1259, when an accord with Bishop Don Suero, aimed at lowering taxes, was signed.There were at least two synagogues in the area. There is news of one in 1283 during Don Sancho IV’s reign. Other documents indicate the existence of a second synagogue somewhere between the Church of San Leonardo and Plaza Santa Lucía.Today’s La Horta neighborhood preserves some of the street names associated with professions and business for which the Old Jewish quarter was known: Zapateros (shoemakers), Alfamareros (makers of red quilts), Orfebres (goldsmiths), Tenerías (tannery), Curtidores (tanners), or communal sites like Baños (Baths) Street. The Jewish population of the area began to move out at the beginning of the fourteenth century and settled in the Judería Nueva (New Jewish Quarters), also known as Barrionuevo (New Neighborhood) or La Lana, a name derived from the wool trade that thrived in the area. There are records of Jews living in this area since the fourteenth century. In 1412 the Doña Catalina Legislation imposed the segregation of Jews and Christians. As a consequence, the Jewish community began to move from the Judería Vieja (Old Jewish Quarters) to the new one, also known as Barrionuevo (New Neighborhood) and La Lana (a name derived from the wool trade that thrived in the area). The New Jewish quarters extended from the old Santa Ana gate to Riego Street and Costadilla de San Bartolomé, with Calle Larga (today’s Santa Ana and Sancho IV streets) as the main artery. 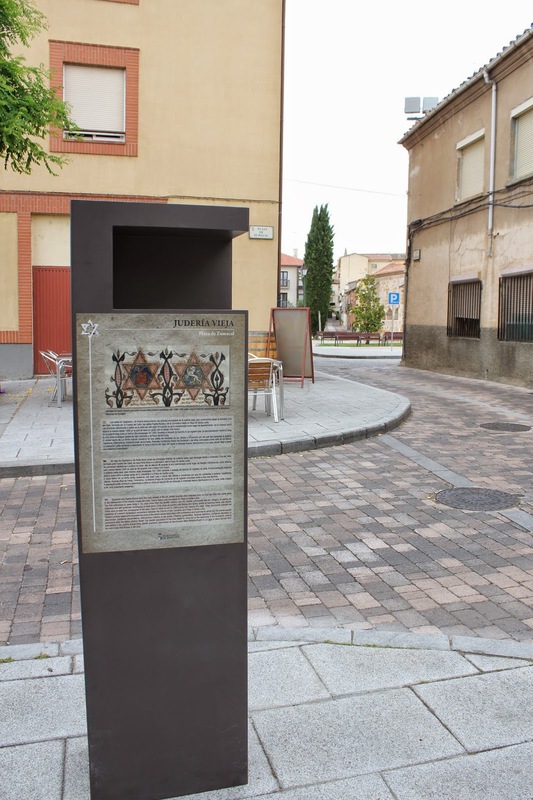 The Jews of La Lana, along with those of Sevilla, helped to pay the rescue of one hundred and fifty five Jewish families from Malaga after Ferdinand and Isabella conquered that city in 1487. After the second half of the fifteenth century there is an increase in mentions to commercial and financial lawsuits and to social and cultural tensions, as well as a series of decrees protecting the aljama of Zamora. One decree exempted the aljama from taxes for the reconstruction of parts of the city, and another one returned his properties to Rabbi Salomon Aben Sento. Some of the families that lived in the New Jewish Quarters are: Abraham Corcos, lawyer, Samuel and Emmanuel Abenatar, tailor, and his wife Reyna, Mosé Abenrrós, Yuçef Aula, the convert Juan of Valencia (whose Jewish name was Isaac Tornero), Torralvo, Santo and Samuel Bueno, silversmiths, Yuçef Aboad and Sento Peres, grocer, and his wife Oro Vida, Jamila and her sons Jaco and Mosé Medina, whose house was next to the Corcos'. All this information suggests a vibrant Jewish community that occupied 14% of the medieval city and made up between 15% and 20% of the total population in 1492. 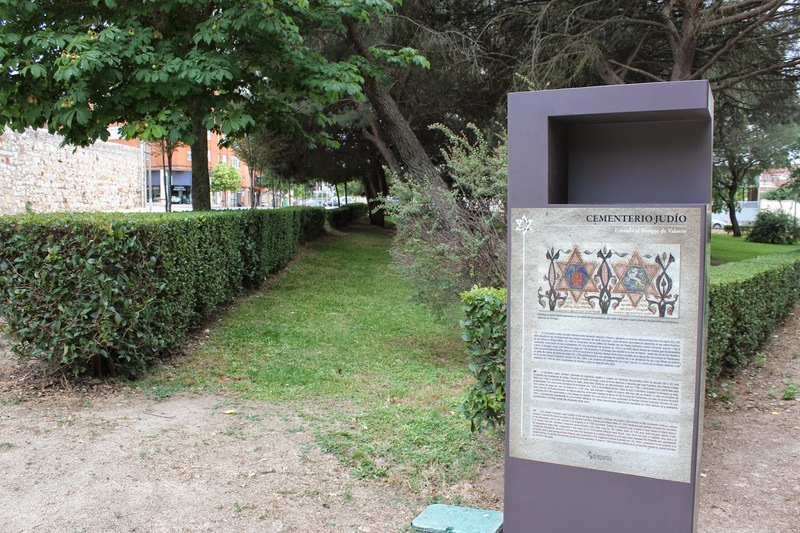 It was in this neighborhood where, between March 31 and August 2, 1492, thousands of Jews prayed and stayed in their journey to Portugal in search of refuge. On August 6, 1492 Ferdinand and Isabella donated the Main Synagogue to the City of Zamora Council in order to build the Church of Saint Sebastian in its location: By this decree we donate the Main Synagogue that belonged to the Jews of Zamora, with the condition that, within a year, this synagogue will be rebuilt as a church in honor and praise of Saint Sebastian. A year later, the King and Queen issued another document authorizing the Brotherhood of Saint Sebastian to build a hospital in the same location: ...the synagogue the Jews had in that city, including two houses attached to it, will be used to build a hospital of Saint Sebastian, in which you can treat the poor and other people in need. The synagogue and the Rabbinic Academy were next to each other, as it is common in the Jewish tradition. The number of rabbis and wise men who studied and taught at this academy is remarkable: Isaac Campanton, Samuel Valensi, Isaac Aboad II, Isaac de Leon, Isaac Arama, Abraham Saba, Joseph Hayyun and Jacob Habid, among others. By 1492 the main rabbis and wise men that worked in Salamanca, Toledo, Guadalajara and Lisbon had studied in Zamora. After the expulsion, the academy’s influence extended to every place where the Sephardic diaspora had settled, including Lisbon, Amsterdam, Fez, Tetouan, Thessalonica, Istanbul, Cairo, Jerusalem and Safed. This area is populated by Jews from the beginning of the fourteenth century until 1412. It extended from San Cripriano Street to Ronda de Santa María la Nueva, and from the vicinity of Plaza Mayor to La Magdalena Church. 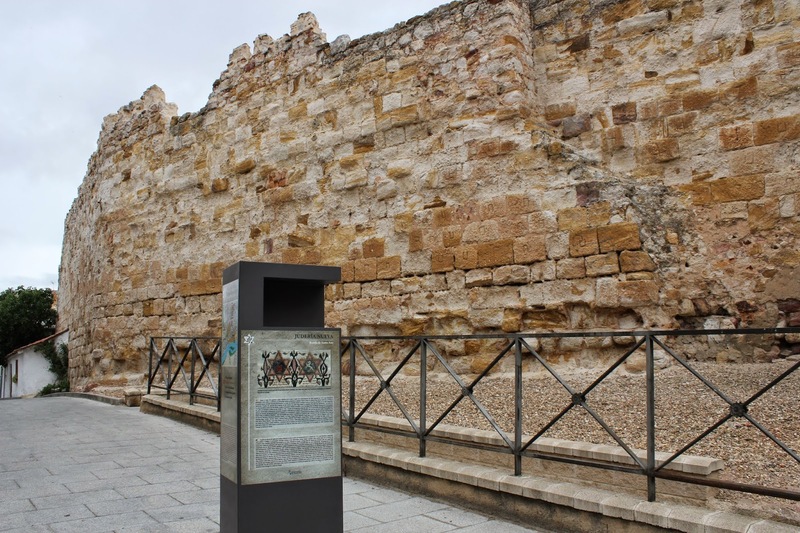 Two synagogues have been documented in the area, one of them a private synagogue that belonged to the Benevento family and was later rebuilt as the church of Santa María la Real. Among the families living in the area were: Rabbi Abraham, Don Farón, Mosé Zaragosí, doña Jamila, Rabí el Viejo, Mosé Vivas, David Baltrax, Hanán Abúa and Jucé de Muros. 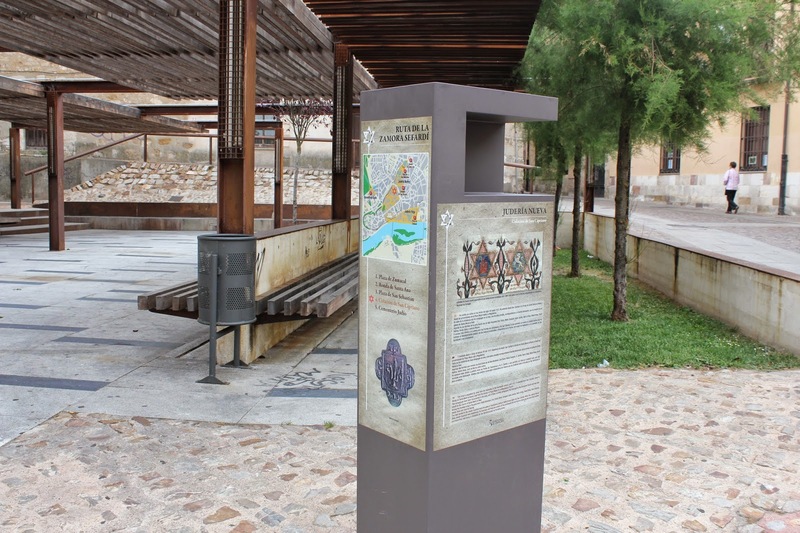 The main access to the Jewish Quarters were the gates of Zambranos (today’s Doña Urraca Gate) and San Cebrián. When the Judería Nueva (New Jewish Quarters) was established, the business and financial centers of the community did not have to move very far from this location and found their new home in Costadilla de San Bartolomé and surrounding areas. The Jewish Cemetery was located in the vicinity of the Santo Domingo Monastery (demolished in the nineteenth century), whose property included the block bounded by the streets Puentica, Olleros and Obispo Nieto. In 1492 Ferdinand and Isabella donated the cemetery to the Monastery, which still claimed it as property in a 1798 document. Thanks to a lawsuit over a piece of land leased to María Alonso, it is known that the cemetery measured approximately 330 meter long by 100 meters wide, or 3.30 ares, and included Valorio Creek. 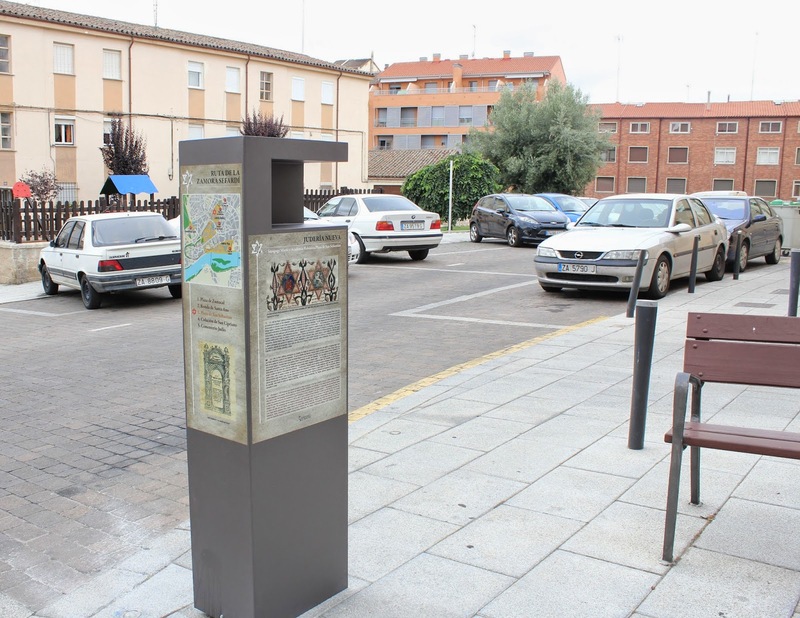 No excavations have been conducted in this area, but in 1879 some artifacts were found: coins from the time of Castilian King Henry of Trastámara (fourteenth century); a bronze seal that belonged to a person named Gil and was dated between the fifteenth and seventeenth centuries, and a gold earing whose drawing was published in the magazine Zamora Ilustrada (no. 28, 1882), considered to be property of a Jewish woman. In several documents concerning the expulsion of Jews in 1492 there are references to properties owned by Jewish families not far from this area.